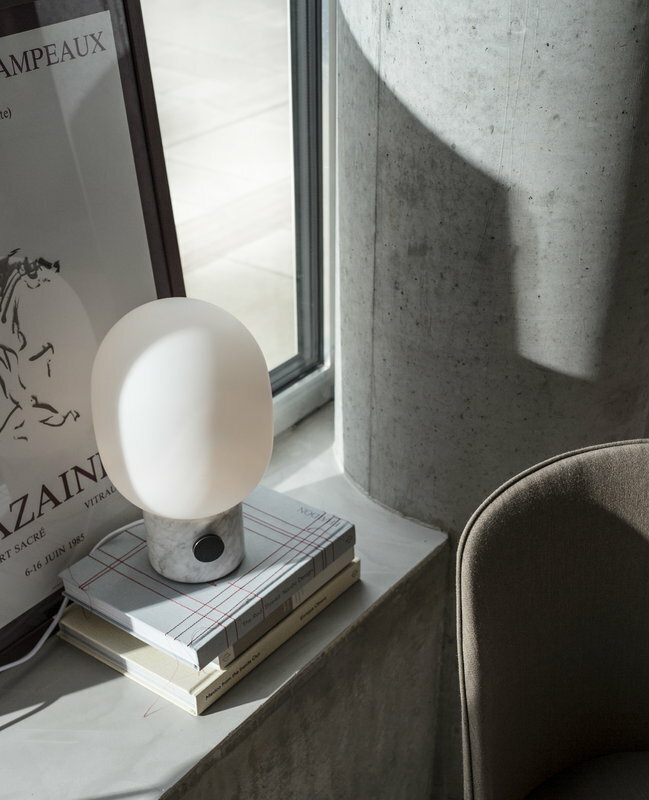 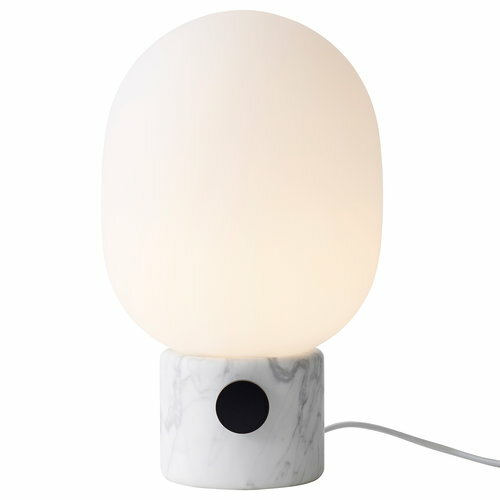 JWDA table lamp by Menu is a delightful, elegant and compact luminaire that features a white marble base, round opal glass shade and bronzed brass knob that functions as a switch and a dimmer. 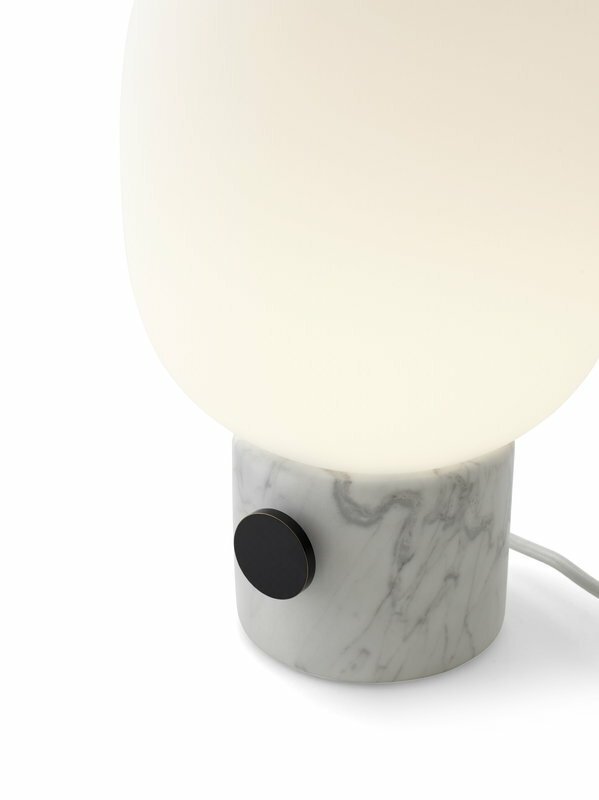 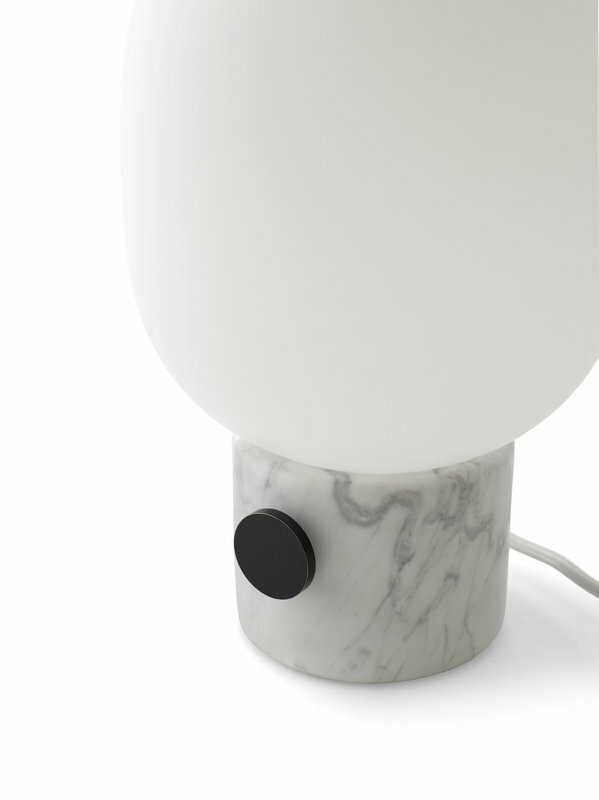 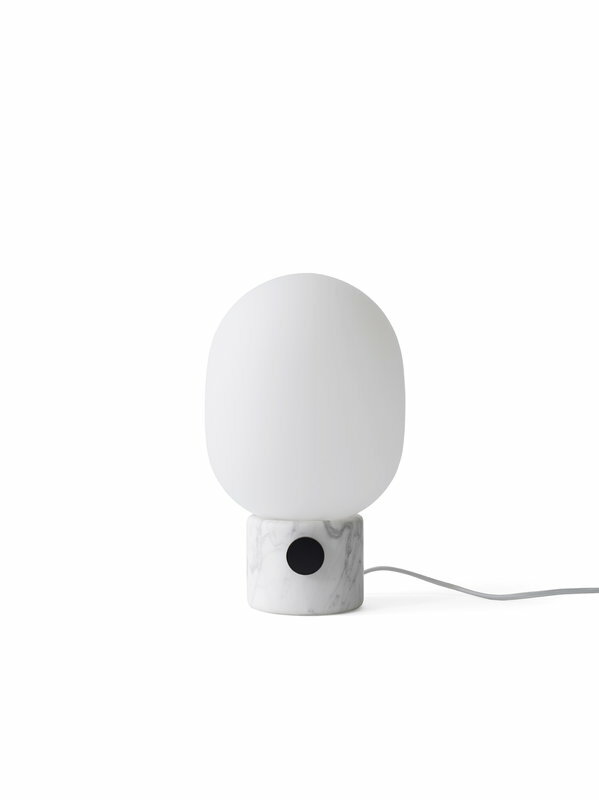 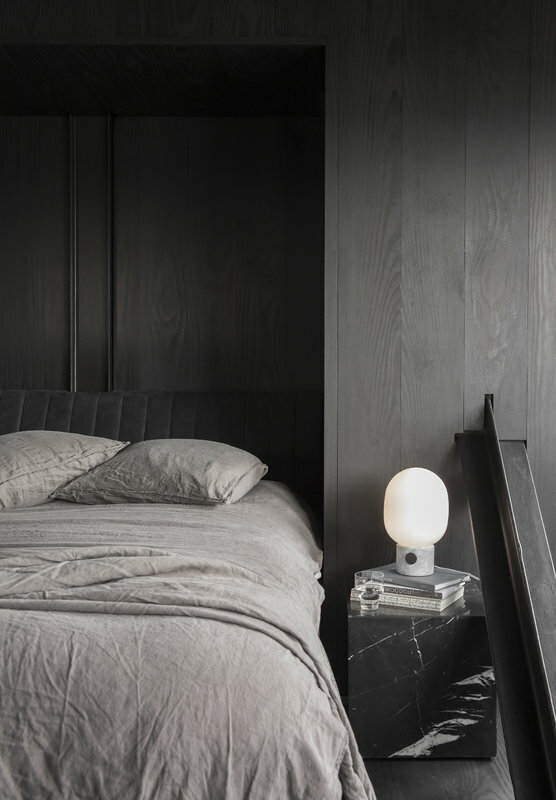 Designed by Jonas Wagell, the contemporary table lamp was inspired by the ambience of traditional oil lamps. 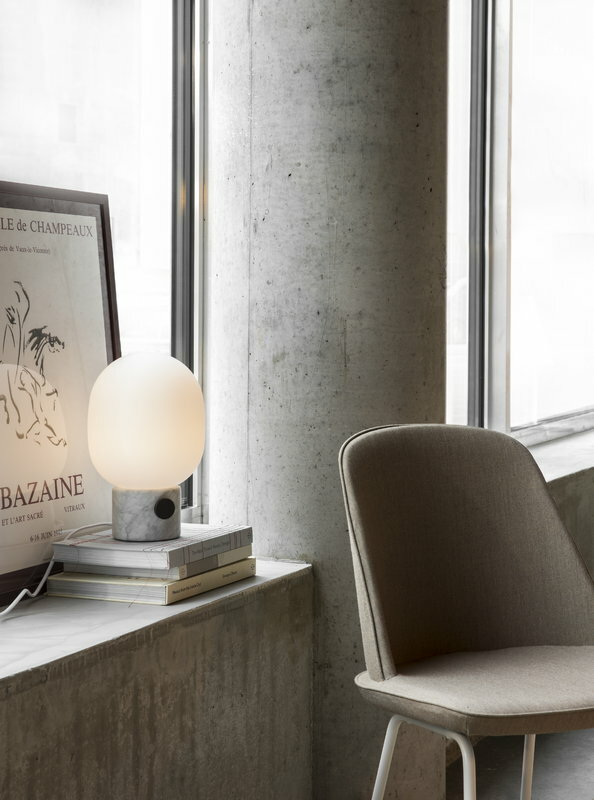 JWDA provides soft illumination for any space, and it makes a perfect addition on your sofa table or nightstand.